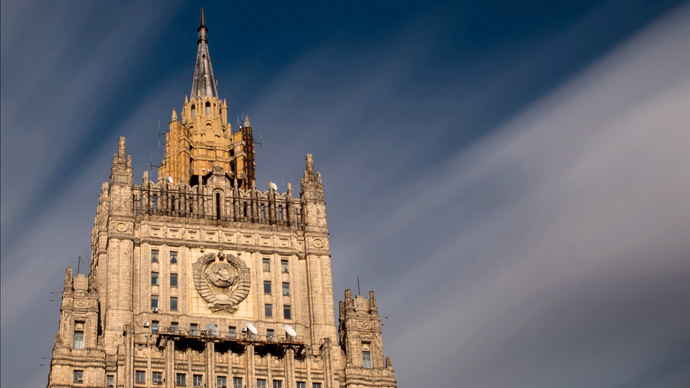 Moscow strongly condemns Kiev forces shooting at Russian border guards and demands that such actions cease. Otherwise, Russia reserves the right to protect its territory and citizens, the Foreign Ministry has said. At around 3 am on Saturday, a vehicle with a squad of Russian border guards, on duty at the frontier between Russia and Ukraine, came under fire from the Ukrainian side, the Russian Ministry said in a statement. As a result of the incident in the Kuibyshev district of the Rostov region, the vehicle sustained damage: eight bullet holes were found in the vehicle’s chassis. 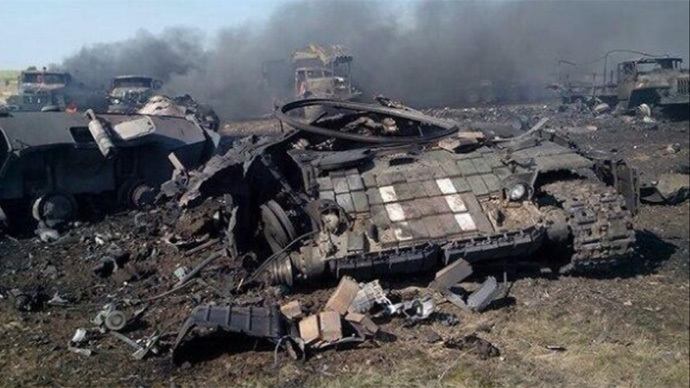 “Only by good fortune were none of the Russian border-guards injured,” the Foreign Ministry statement reads. Moscow says it has evidence that the shooting came from Ukrainian territory and a position on Russian soil, which was prepared in advance after attackers from Ukraine penetrated the country. Russia is demanding that Ukraine stops shooting at its territory and committing violations of its border, according to the statement released on Saturday. Three Russian frontier guards came under fire during the incident on Saturday, Vasiliy Malayev, a spokesperson for Rostov region’s Federal Security Service’s told Itar-Tass earlier. He said the Russian soldiers fired back, following which the shooting ended. Meanwhile, according to the Ukrainian Foreign Affairs Ministry, the Marinovka border checkpoint “came under shelling” from Russia’s Kuibyshev on Saturday night. Additionally, Ukrainian air space was violated several times on Friday “by drones which came from the Russian side,” UNN news agency reported, citing the ministry's press service. Clashes between the Ukrainian military and self-defense forces close to Russian border have recently intensified, forcing Russia's immigration and customs service to evacuate employees and civilians several times a day for safety reasons – including bullets, shells, and shell splinters reaching Russian territory. While the Kiev government accuses Lugansk and Donetsk self-defense forces of firing at Russian territory, the militia claims the Ukrainian military is to blame. 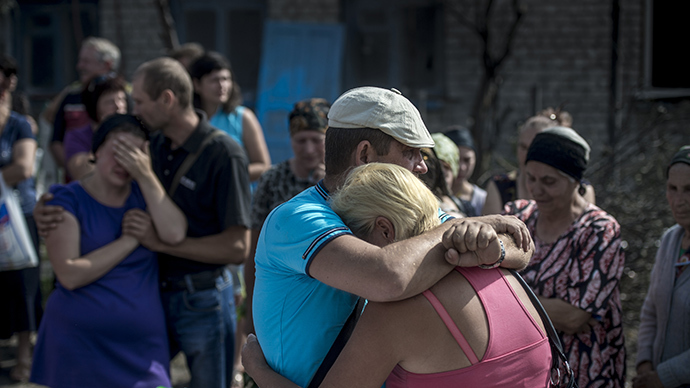 Russian territory has come under fire from Ukraine on several occasions, including the June 20 shelling of Novoshakhtinsk border checkpoint in the country’s southern Rostov region. A Russian customs officer sustained serious injuries as a result of the attack. In the wake of heavy fighting, Russia closed three major border crossings: Donetsk, Gukovo, and Novoshakhtinsk, on the Russia-Ukraine border.